JVL is concerned about fulfilling international requirements. 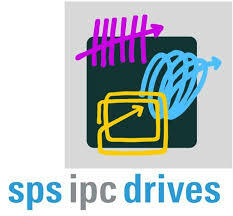 Among these are UL recognition and conformance test. Read more here for information about UL recognition and Ethernet conformance test. JVL is concerned about fulfilling EU requirements. See here for EU Declarations of Conformity. For all new products JVL is fulfilling the RoHS Directive. See the announcement here. Various links for calculators, unit converters and tutorials. 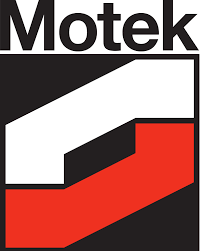 Here you find different links for various calculators, that might be helpful, including Motorsizer. Have a look and see if you find what you are looking for. Connection diagrams gives detailed information about the connections in our Connector Boards for stepper motor controllers. Download a copy here when needed. 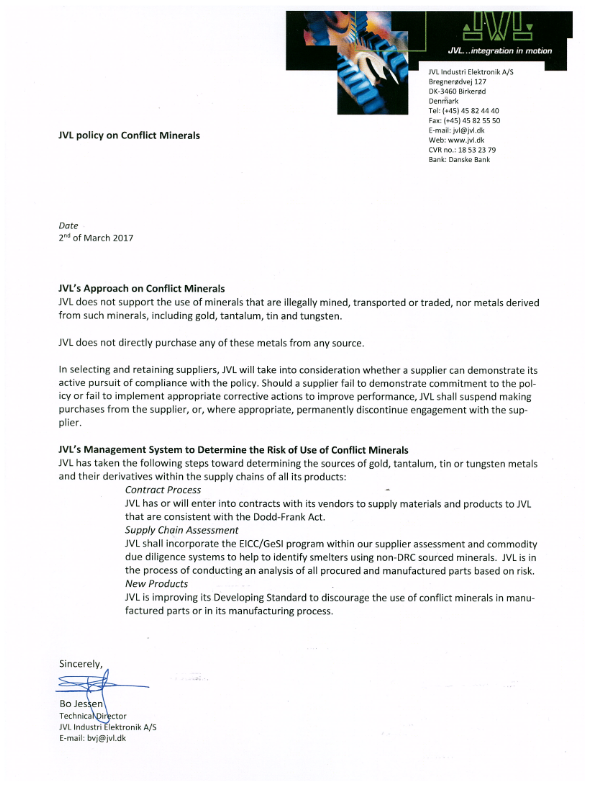 Documents containing information regarding JVL´s policy on conflict minerals.